The Royal Horticultural Society (RHS) in partnership with Andipa Gallery announce the commissioning of artist Hugo Dalton to create an exclusive work for the 2011 RHS Chelsea Flower Show. The 20 metre by four mural entitled ‘Constructed Nature’ comprises drawings Dalton sketched in The Chelsea Physic garden and The National Army Museum. The Hand Painted mural, to be completed on site the week before the show will be displayed at the end of Eastern Avenue and create a stunning feature for those entering from Royal Hospital Road. The concept behind Dalton’s canvas is to make a work that plays on the juxtaposition between the constructed nature of the flower show and the perceived permanence of the show gardens. 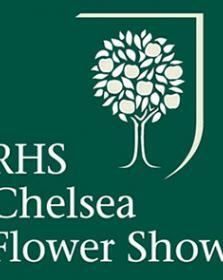 The RHS welcomes this new visual experience which will add to the overall diversity of the RHS Chelsea Flower Show. The presence of designers, horticulturists, supporting industries and now contemporary art, demonstrates the eclectic nature of the show.